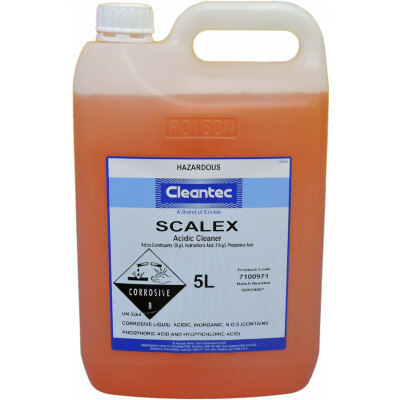 CAMPBELL CLEANTEC SCALEX ACIDIC SCALE AND RUST REMOVER 5 LITRES Scalex is a concentrated acidic cleaner which may be used for a variety of purposes depending on the dilution. Its blend of acids provides fast, effective scale and rust removal. 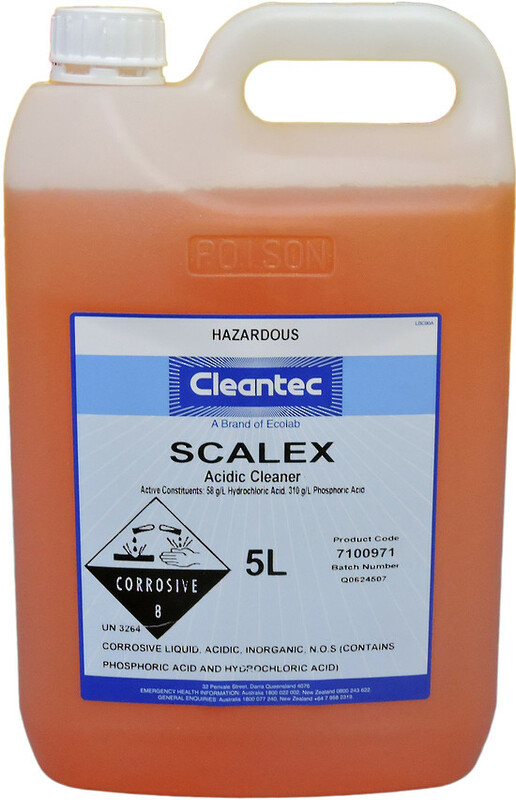 Scalex is safe to handle when used according to directions and is colour coded orange for easy identification.